I’ve previously preached the importance of meeting with your customers face-to-face as often as possible to establish a strong relationship. However, as your book of business grows and your agency expands its reach, it becomes more and more difficult to keep up with the in-person visits. Insurance agents must be able to develop and maintain client relationship through email. Marketing is the lifeblood of an insurance agent’s sales pipeline. You have a product that will benefit your client or prospect and you want to get your message in front of them as often as possible. But oversaturation can cause you to come across as disingenuous and do more harm than good. Balance is key for effective email communication. Make sure that you send personalized messages to your clients when it’s applicable and you touch on information specific to their company. Don’t be afraid to show your personality and charisma as you aim to develop a rapport with clients and prospects alike. 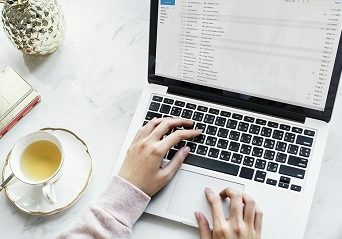 Consistently reaching your customers via email messaging is key to maintaining your client relationships and it’s good to establish a regular communication schedule. However, if you don’t have relevant and valuable content to provide your clients, these messages can do more harm than good. Customers can become disillusioned with your agency if you are sending them the same spam marketing messages that every other insurance provider does. The same goes for personalized messages. Checking in on a client isn’t a bad thing, but consistently reaching out without any purpose to your message can weaken your relationship. Think about your interaction with marketers and sales people. When they email you frequently without providing anything of value, how do you react. In the end, having a schedule to consistently touch your contacts through email is important to maintaining client relationships, but only if you keep providing content that is valuable to your customers. Try mixing up your content styles with images, videos, and infographics to keep your messaging from getting stale. Ask your customers what would pique their interest and what they would find useful. The key is to try new things and offer valuable content without losing the interest of your clients. Nothing can build and maintain a client relationship better that face-to-face interactions. But with these tips, you can leverage email communications to maintain the relationships you have while you continue to expand your reach and grow your book of business.